When he isn't sipping on gin and juice, it's Philz mint mojito iced coffee for angel investor and rapper Snoop Dogg. Marketwatch reports that the artist, who has recently gone by such stage names as Snoop Lion and DJ Snoopadelic, is among the recent slew of investors in the "one cup at a time" San Francisco coffee chain. Philz, as TechCrunch reported last week, has just closed $15 million in Series B Funding ahead of nationwide expansion plans. And, with his mind on his money (and his money on his mind), Snoop was in on the round. Philz is already a darling of local celebs like Mark Zuckerberg. In fact, it was at the Facebook CEO's reported request that Philz founder Phil Jaber and his CEO son Jacob opened one of their 18 Bay Area locations at the company's Menlo Park headquarters. And Philz, for better or worse, is a bit of a tech company itself. As SF Appeal reports, back in 2012 the coffee purveyors partnered with a retail analytic firm called Euclid to ping Wi-Fi enabled devices in and around stores. Allegedly, that way Philz could track how often and for how long customers were inside and nearby their shops, with permissions seemingly an afterthought. As for Snoop's vision of Philz, Nick Adler — vice president of Cashmere Agency and a Snoop Dogg investment collaborator — told Marketwatch that “Snoop has a special affinity for organic ingredients... He loved the Philz business but also loved the way they respect the coffee beans.” Respect. 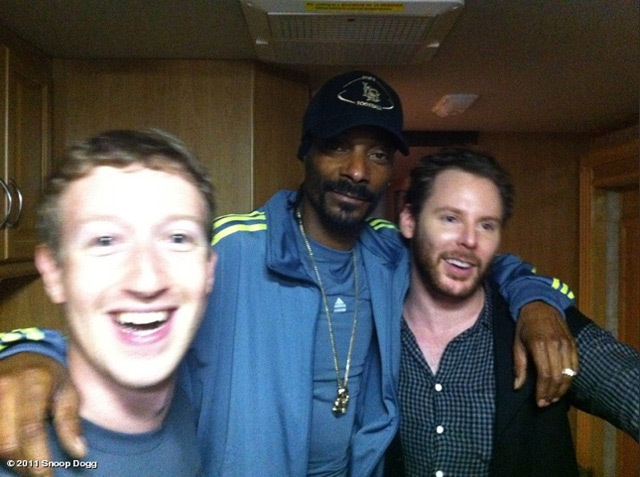 Let's go out on a choice shot of Snoop with Zuck and Sean Parker from back in 2011. Is The Answer Simply More Housing, Or More Affordable Housing? The Debate Rages On.